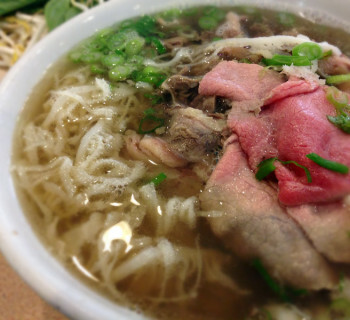 Home›featured›Hey, What's the Cost of That Bowl of Pho? Updated 04-14-19. Ever wonder how much a bowl of beef pho costs to make? 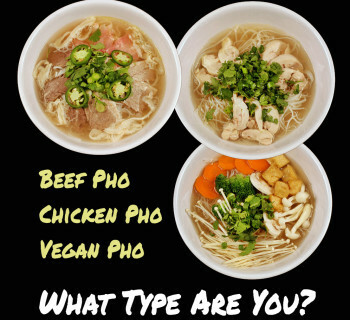 If you're a customer, when you pay $8 or $10 or whatever for a bowl of beef pho, what are you really getting? 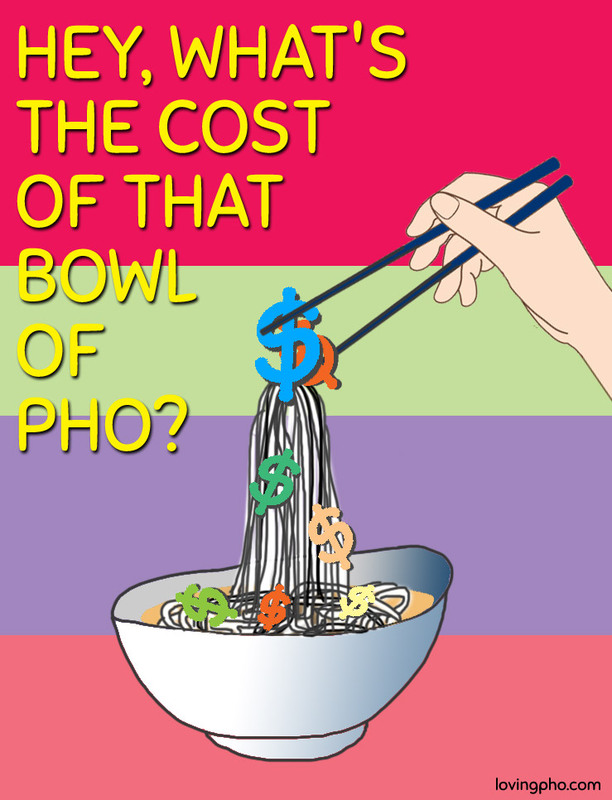 And if you're a pho restaurant operator, do you know the cost of your pho bowl and its profit margin? Let's get on a spreadsheet and take a look at a typical beef pho recipe. There are many ways to do this calculation, depending on your preference and business setup. What I'm presenting here is one of the simpler methods for illustration purpose. The numbers are "typical" but fictitious. Also, ingredient prices fluctuate regularly and with locality, so once you understand the concept, you should use your own numbers to calculate your own costs. In any case, the concept is valid and should give you a valid result if you use good input. You know, garbage in, garbage out? For the purpose of food cost calculation, the process is split into 3 steps as shown in the 3 tables below. The first one aims to calculate the broth cost only, the result of which is cost of broth per regular bowl of serving. The second shows calculation for a typical single serving, including the banh pho noodle, toppings and garnishes, but specifically excluding protein toppings. And the third table costs out toppings portion to include various protein toppings like sliced rare eye of round, tendon, tripe and beef balls. Clearly this is not how you actually assemble and serve a bowl of pho, but as noted, this process makes food cost calculation much easier and more understandable. The first table is the Cost of Broth Per Bowl Calculation, which shows the cost of broth for a typical Regular size bowl requiring about 24 FL-OZ of broth. If you're a restaurant, you probably know the importance of knowing the capacities of your own bowls, but surprisingly I found many owners who have no idea of what they have. Also not all restaurants use the same bowl capacities, so take all that into account as well. Commercial restaurants use much larger pot sizes, but for simplicity I'm using a more manageable pot size to yield 21 gallons. The broth cost per bowl comes out to about $1.09. This is how much your broth for each regular bowl costs, for the recipe used in this example only. The next table displays the Cost Per Assembled Bowl Calculation-Without Protein Toppings, which shows the cost of the same regular bowl with properly portioned banh pho noodle, onion garnish and broth. It also includes one portion of the garnish (bean sprouts, lime, chili pepper, and Thai basil) that is typically served on the side plate. The cost of the bowl is now increased to $1.96. Note again that this is for costing purpose/breakdown only, as operationally you would add other proteins and ingredients over the banh pho before adding the broth last. Now that you have the basic regular sized pho costed out, it's time to add a few protein toppings to get the final food cost of a regular beef pho bowl. I've included examples of rare beef (tái), tripe, tendon, and beef balls here, as well as the well-done brisket. Note that, because the brisket cost was included in the broth calculation already, adding well-done brisket to a bowl should not add brisket cost a second time. The total cost of a bowl now ranges from $1.96 to $3.42. It should be noted that the sample calculation above presents an ideal situation where there is no shrinkage, waste and trim loss factors. For more accurate calculation, these important elements must be included, the net effect of which will be to decrease total yield and increase total food cost. What's shown above is generally considered "food cost" in foodservice industry. Labor costs can also be calculated to show a more complete cost of a bowl of pho, but most restaurants' accounting systems separate all labor costs into a different accounting pot, and yes, pun intended. If a pho restaurant charges $8 for a regular Special bowl (tái + brisket + tendon + tripe), then that restaurant's food cost for the Special bowl should be about ($3.42/$8) = 42.8%. Because the ingredient costs used in the calculation are closer to retail prices, this $3.42 is actually what home cooked pho should cost. For a restaurant business, wholesale ingredient cost should be used in the calculation, and food cost should come out at or below 30%. A restaurant has its own wholesale price list from its suppliers, and prices vary widely depending on location. Furthermore, a conscientious restaurateur have many ways to optimize operation to minimize costs without compromising quality and service. Finally, pho restaurants make all the menu items in bulk during both prep and service steps, all of which keep per serving cost low. The net result is controlled food cost which is an important step to increase profit margins. Adjust recipes (ingredients, procedure, and cook time) to lower cost. Use lower quality/lower cost ingredients to lower cost. Employ less qualified/untrained staff to lower cost. There is nothing wrong with doing these in and of themselves; the owner has every right to run his business any way he wants as long as it's not illegal. But this is why pho quality can vary greatly from one pho restaurant to another, aside from the fact that not all pho cooks make the same pho quality. People love to enjoy good foods and actually don't mind paying for a great bowl of pho and a satisfying experience. The fact is, busy pho restaurants (which most of the time equates to serving good pho) have developed their own procedure to maintain quality and control both food and labor costs. They know how to provide good customer service to attract repeat business. As a result, they charge fair prices for great pho and great dining experience. In the end, what does this all mean? Well, regardless of how much the bowl of beef pho is charged to a customer, a smart customer can find very good pho at very decent price, while the pho restaurant owner can make good profits knowing his accurate costs. If you're a pho customer, be wary of the cheap pho. Those half-priced pho or even those in the range of $5 to $6 may become real expensive pho if you're not getting the quality and service expected, or they're not around long to charge you those cheap prices. It's better to pay a few dollars more to support pho shops that care to serve good pho using good ingredients, employ and pay a well-trained staff, and charge a fair price for it. Those are the ones you want around to keep serving you their pho. If you're a pho restaurateur, learn how to calculate your food costs properly, then learn to control and maintain both quality and cost of your pho. This care will show in the pho that you serve, and will definitely show in your bottom line. Doing so will also ensure you have good margins and your pho restaurant will be doing business well into the future. Looking to try your hand at making your own pho? 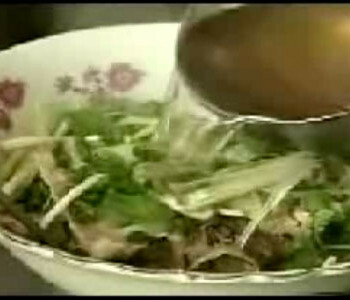 Check out a solid beef pho recipe, or follow this link for Top pho bo and pho ga recipes you must try yourself.